Escape the Hydeout is back! Escape the Hydeout: The Mystery of Henry Jekyll is now open in our Midtown location! We’ve brought back our popular Victorian-themed mystery mission, updated and upgraded with some new puzzles and fun tech from amusement theme parks! The experience is more immersive and suspenseful than ever, perfect for all those aspiring detectives out there! To commemorate the re-open, we’ve also introduced the private game pricing that you’ve all been asking for! The price for a private game will vary depending upon the day and number of players you have in your group, so head on over to our booking page to check it out! Escape the Nemesis and Escape the Darkest Hour will also be making their comeback soon, so keep checking back! Mission Escape Games has moved to Midtown West! 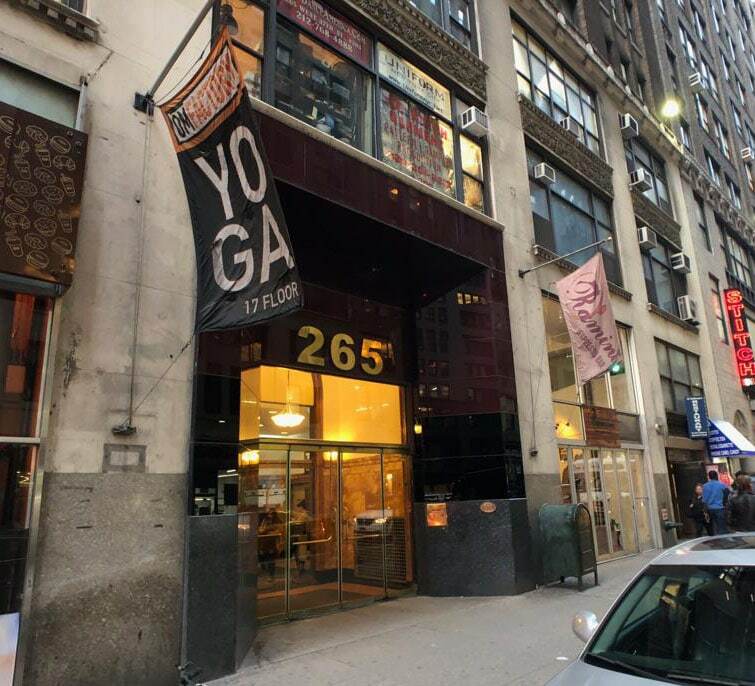 Our downtown NYC location at 55 Chrystie Street has closed, and our new location is 265 W37th Street, Suite 802A! It’s a great neighborhood, only a few blocks walk from New York Penn Station, Port Authority Bus Authority and Times Square. We wanted to thank everyone who has come to a challenge with us at our downtown location near Chinatown/Little Italy over the past four years, and we hope to see you for a mission at our new location soon! John Legend & Chrissy Teigen Escaped the Darkest Hour! John Legend as well as Chrissy Teigen, preternaturally fascinating star pair, verified once more that they are as well as will certainly be connection objectives till completion of the moment many thanks to their brand-new pastime. In a Twitter blog post shared by Teigen, she reveals that the pair “cannot quit doing getaway areas” as well as also shared an image of them after they efficiently fixed a video game with time to save. Jeremy Lin (Brooklyn Nets) & Friends Escape! 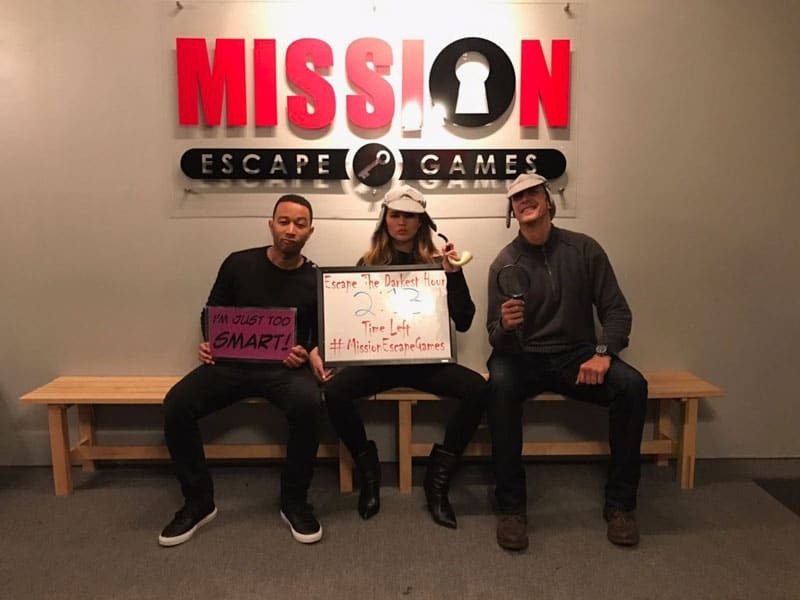 ‪Congrats to Jeremy Lin and his elite squad for escaping the Nemesis! Thanks for stopping by and great time! Exciting news! Mission Escape Games will be featured in the latest episode of CentricTV’s Queen Boss so tune in at Saturday,10P|9C! The 8-episode series will be hosted by TV personality and business woman Tracey Edmonds. Throughout the competition a total of 18 contestants will battle it by presenting their innovative products to a panel of celebrity judges including Vanessa Simmons, Lauren Lake, Kandi Burruss, Carla Hall, Mikki Taylor, Lisa Price, Rakia Reynolds, Angela Benton and Robin Wilson. How to Test Chemistry on a First Date. before realizing…you’re just not compatible? Did you ever wish there was a way to test for compatibility on the very first date? Here’s a way that could possibly do that for you. Welcome to Mission Escape Games! Somehow along with parenting their their adorable baby girl Luna, Teigen and Legend have mastered the art of solving “escape rooms,” a fairly self-explanatory game that challenges participants to use clues to solve a mystery and “escape.” In a Twitter post shared by Teigen, she divulges that the couple “can’t stop doing escape rooms” and even shared a photo of them after they successfully solved a game with time to spare. See the full post: http://time.com/4643290/john-legend-chrissy-teigen-escape-the-room. Find clues to solve unique, brain-teasing puzzles. Think fast and act faster, before your hour is up! Teamwork makes the dream work. Communicate and cooperate to make your escape! Make your way past the puzzles and unlock the door before your time runs out! Interactive fun perfect for all generations of the family! A great hour together for great friends! If you want to team build, look no further! A fun memory to take away of the city! Escape games are designed for intense cooperation and working together, where communication is essential. Whether you're looking for an ice breaker with new team members or looking to build team spirit among the department, this is the perfect way for the office to get out and enjoy a high-quality team-building exercise.